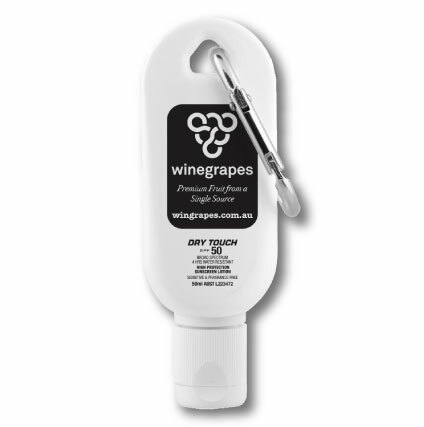 50ml Sunscreen with Carabiner is ideal for attaching to golf bags, back packs or school bags. Suitable for the beach or outdoors. Screw top allows easy refilling. Features: carabiner, broad spectrum 30+ SPF very high protection sunscreen, water resistant for up to 3 hours, and contains vitamin E.